How do I remove members from my plan? Removing users from your plan. 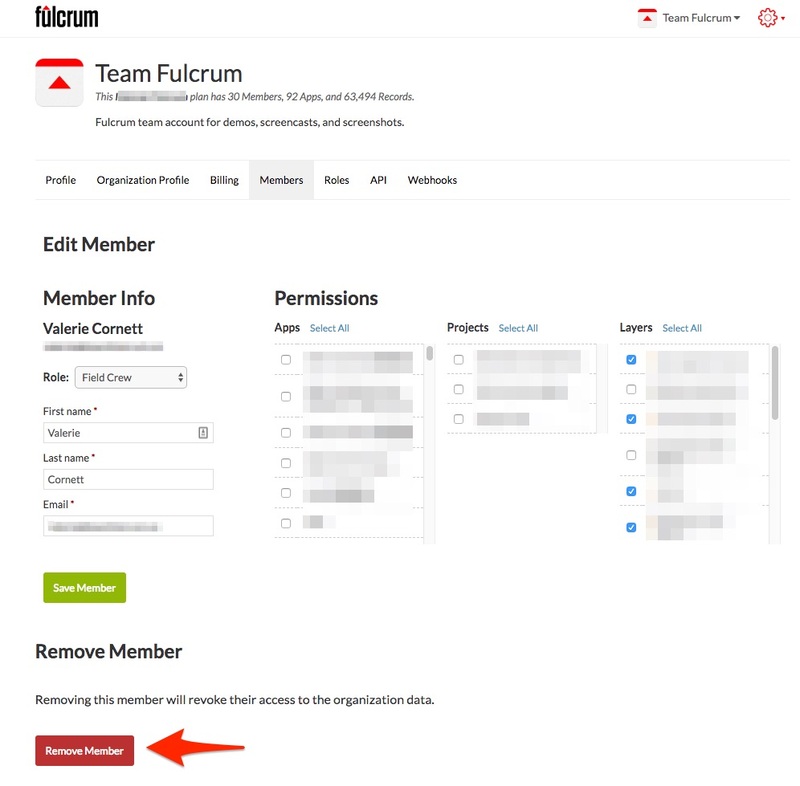 If a member of your plan no longer needs access to your plan, you can remove members by going to the Settings page on the Fulcrum web app and clicking the Members tab. Click Edit next to the member you’d like to remove, and the pick Remove Member down at the bottom. Removing a member will free up a member slot in your plan for the remained of the month, you can add a new member to fill this spot without being charged a prorated fee for the additional of a member in the middle of a billing cycle. Note: The data that they collected and synced to the server will remain in the plan. You will want to make sure that they have synced all of the data that is stored on their device. Lastly, if they are assigned any records, you will be prompted to assign the records to another user when you remove the user from your plan.